SBU was established in 1987 and became a governmental agency in 1992. SBU is headed by a Board of Directors, (15 persons) representing key organizations, both in the Swedish healthcare system and in social services. Scientific Advisory Committees (10 persons in each one) provides specialist expertise. SBU’s task is to critically review the scientific basis of methods used in health care and to evaluate their benefits, risks and costs. From mid–2015, SBU is commissioned by the government to evaluate the scientific evidence of methods within the social services. Our main objective, to identify effective and ineffective practices, is from now on applied both to the social services and health practices. What technologies to be assessed, are prioritized using a set of criteria and after discussions in the Board and in the Scientific Advisory Committees. A project group of 5 to 10 members is selected with clinicians, economists, epidemiologists, SBU staff, and other professionals important for the topic of the project. The group’s task is to systematically review the entire body of scientific literature in the field. At SBU the members of the group learn about the method of systematic and critical reviews, based on the Cochrane Collaboration model. The literature review usually takes up to two years to complete. The group’s report is then reviewed by both external reviewers as well as the Board and Scientific Advisory Committee. Other products are: the SBU inquiry service, SBU Comments and Scientific uncertainties. Communication plays an important part in ensuring that SBU’ scientific assessments have the impact required. SBU’s result are relevant to many people, including institutional heads of health care and social services, professional groups, patients, decision-makers at provincial and community level and those responsible for quality assurance and pharmaceutical committees. SBU’s results are therefore widely disseminated, for example through SBU’s journal Medical Science & Practice (circulation of 145 000 copies). The conclusions are often reported and widely discussed in general media and in professional journals. New SBU reports are published at our website, in our digital newsletter, on Twitter and others social media, as well as some of them in Wikipedia and as short movies on YouTube. Most of the results are also translated into English as short summaries. Our reports form a basis for study material, seminars, courses and lectures to draw attention and stimulate discussions of the reports. They results are also used as a basis for national, regional and local guidelines and are often the forerunner of recommendations from other authorities. The project groups and national networks are active at a local level to ensure that the reports are utilised as a basis for decision making and that the results are applied in practice. 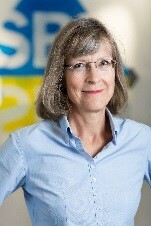 Web page: www.sbu.se. SBU’s action plan for the period 2016–2017 includes evaluation of the scientific evidence of methods within our new assignment, the social services. We will also continue to further develop our ways of collaboration with patients and users of health care and social services as a natural step in our projects and work processes. SBU will also give priority to the methodological development of HTA internationally, e.g. GRADE-system, handbook of HTA and modelling of health economic analysis, in order to improve the quality of our HTA reports. The link between new research and our database, which identifies scientific uncertainties, will be further intensified through our collaboration with research funders in Sweden.